In 2017, Rangely benefited from visits by artists of all types and many of those artists have released albums from their time in The TANK. Here's our roundup and some links to either purchase or listen to these artists yourself! Statement: "Last summer I went on a pilgrimage to the Tank Center for Sonic Arts in Colorado to create a CD. A CD of harp healing sounds that was made in this fabulous, amazing venue with acoustics that are incredible. The string reverberations were glorious. It was fabulous! Playing with The Tank was special. Listening to The Tank's harp sounds reverberating was thrilling. I am so glad I made the trip and plan to return." Christina is a Harp Healer that works at the ONE Wellness Center in Rochester, NY and seeks funding to help her engineer the recording that she made there. 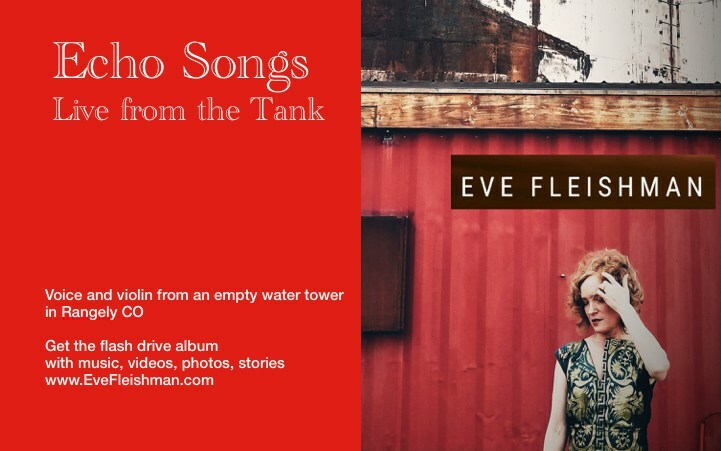 To check out her Kickstarter and hear a little more about her experience in The TANK click here! Statement: "What can I say about The Tank? Since I was a kid playing trombone I have been intrigued by how the architecture of a space interacted with the sound I was producing, sometimes reflecting it back in soft folds off of the surfaces - endless hallways, gymnasiums, theatres, tiled bathrooms - as if to inject a small dose of helium into the notes and make them expand. In that way, The Tank was a big dose of 'helium', and that catalytic element became my sonic partner. And, as in any improvisation with another player, I tried to listen and experiment to see what excited the conversation, what I needed to omit, how much space could be sustained, what the pace and patterns of response were, how harmonies were received as opposed to linear lines, etc. Through that process these 'solo' guitar pieces became a kind of dialogue 'in duo' with the cylindrical architecture of the tank, how I could converse with it's reverberant responses, how it's 'helium' altered the normal order of events - attack, sustain, decay, and so forth. In this way we, The Tank and I, became springboards for each other's vocabularies. Click here to listen and buy the track! Statement: Love, friendship and memories awash in sound. Ten songs from different eras sung a cappella in an empty water tower in Rangely, Colorado (known as The TANK Center for Sonic Arts). Eve is accompanied by Timothy Kirwin on violin for the last three: Twinkle Twinkle Little Star, Amazing Grace, Hallelujah. Sonorous songs offered as a comforting meditation for all. Read more about Eve’s TANK experience. 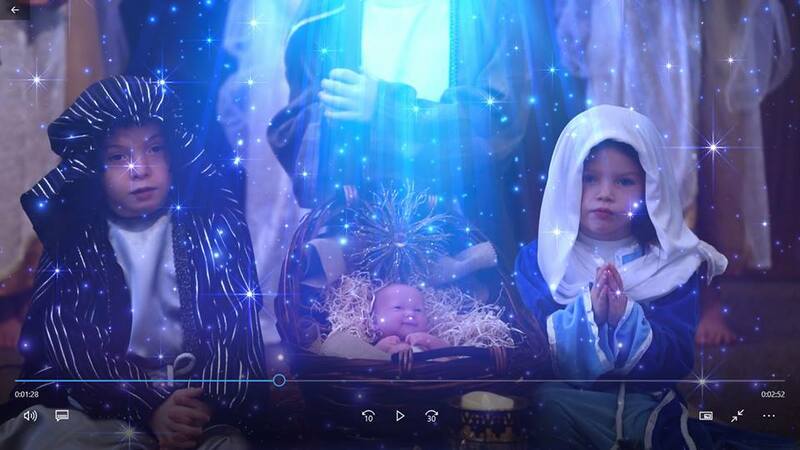 In September the One Voice Children's Choir recorded "When Love was Born" by Mark Shultz. Directed by Masa Fukuda this video is worth taking the time to revel in. Statement: "On September 23, 2017, One Voice Children's Choir traveled to remote Rangely, Colorado, to record and film at the Tank Center for Sonic Arts. The empty steel water tank is a sonic wonder which has been transformed into a recording and performance venue, and is internationally renowned for its ethereal acoustics and 30 to 40 second reverberation. The combination of a parabolic floor, a high concave roof, and cylindrical walls causes sound to swirl and spiral around. Music sounds otherworldly in the space as it hangs in the air, both diffused and enriched. A few portals in the roof provide shafts of light during the day, providing a magical environment in which to sing." The mission of the choir is to provide children the opportunity to cultivate an appreciation for music an share their talents while delivering a positive message. This beautiful choral composition was performed by the local youth and included individuals from the First Baptist Church in Rangely as well. Be sure to check it out for a heart warmer for sure! Statement: "This past June, Roomful of Teeth completed four days of recording and produced a special community concert in Rangely, CO at The TANK Center for Sonic Arts. Among a dozen pieces recorded in the nearly hundred-year-old structure was Judah Adashi's my heart comes undone. Roomful of Teeth's summer solstice performance at The TANK is featured in a collection of Notable Performances and Recordings of 2017 published by Alex Ross in The New Yorker. The article includes a link to a special recording of Judah's piece where intense gusts of wind and rain can be heard among the swirling and reverberant harmonies of The TANK during a sudden midsummer storm. "